Audi adds more aggressive styling and significant hardware upgrades to make the RS 5 the best of the bunch. It takes everything that's good about A5 and its sportier S5 sibling and incorporates them to provide a ultra-high performance variant. Under the bonnet, the Audi RS 5 provides a 4.2-litre V8 engine that develops class-leading 336 Kw power. With a seven-speed automated manual gearbox that can be run in fully automatic mode or manually shifted via steering-wheel-mounted paddles. Audi's finely-calibrated "Quattro All-Wheel-Drive System” provides incredible stability with the coupe sprinting from zero to 100 kmh in 4.3 seconds- amazingly fast with fuel consumption at 15.7 litres/100 kms. 19-inch alloy wheels,adaptive xenon headlights,a speed-activated pop-up rear spoiler,a panoramic sunroof,keyless ignition and entry, tri-zone automatic climate control,leather upholstery,heated eight-way power sport seats,Bluetooth and a premium sound system with a CD player,Satellite radio and iPod integration.Option highlights include 20-inch alloy wheels, carbon-ceramic front disc brakes, a sport exhaust system, leather/faux suede upholstery, a navigation system and a Bang & Olufsen sound system with HD radio. 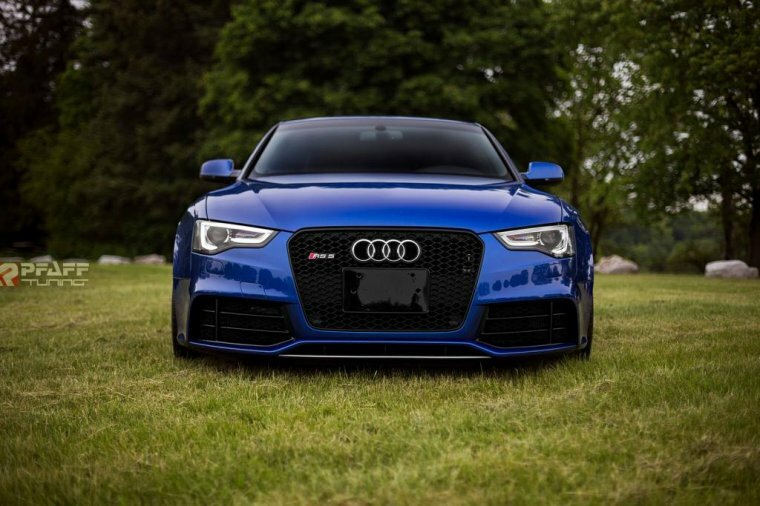 A Driver Assist package includes adaptive cruise control, adaptive steering and blind spot monitoring.The Audi RS 5 includes an interior that's luxurious. As with many of its competitors, the biggest negative is a backseat that's a tight fit for 2 adults. On the road, that potent power-systems works in together with the 'All-Wheel-Drive System' its recalibrated suspension and fantastic steering systems providing a performance that should satisfy most fast-driving enthusiasts.